Understand your opportunity cost that you are giving up by leaving the labor force. You must ensure that your potential gains from the business outstrip other work options available. 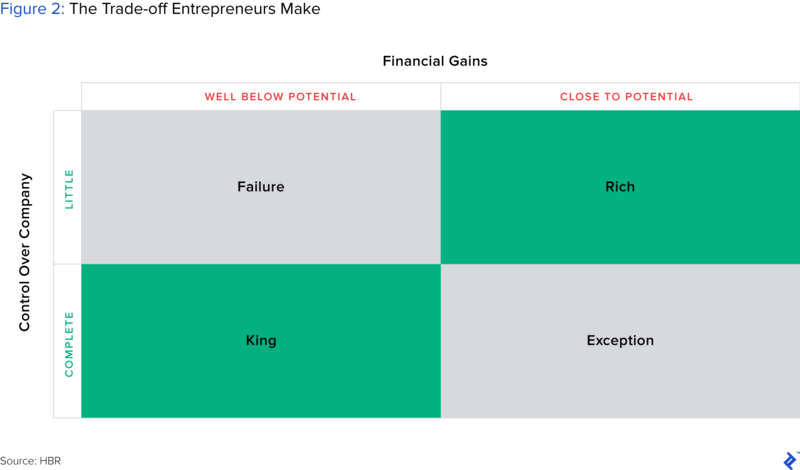 Opportunity costs: How much would each co-founder earn, if they were to find a job in the open market? This should be done in conjunction with a desired exit valuation (discussed in the next section) so that you can realistically project the next three years of P&L in lieu of an end goal. I suggest that you focus on major items: milestones, key metrics (e.g., number of users), revenues, and expenses, as your business can pivot drastically during its life. Make assumptions and document them in detail so that you can continually iterate. Many startup founders prefer to focus on building a great business first and then figure out the housekeeping over time. However, it could be even more time and money wasted later if you don’t get it right at the start. 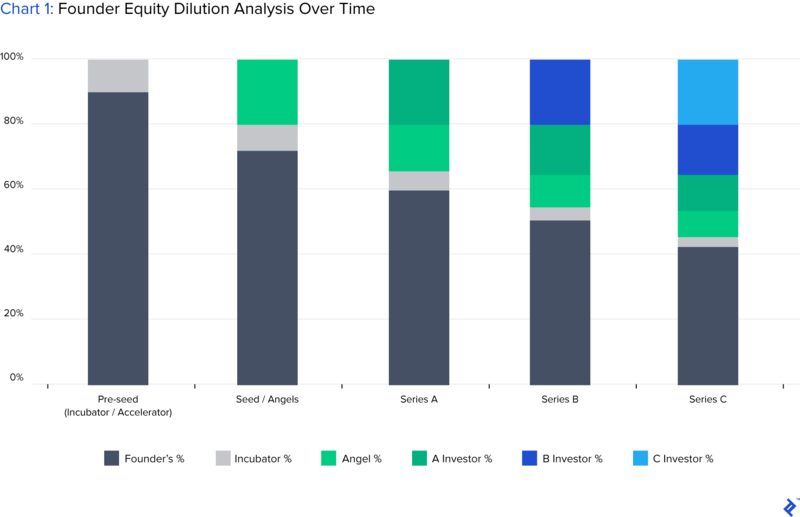 For example, we all know about Facebook’s co-founders’ nasty fight, and Zipcar’s co-founders’ not being properly rewarded for their hard work (of the $500 million acquisition of Zipcar, one co-founder only had 1.3% equity after multiple rounds of dilution, and the other had less than 4%). 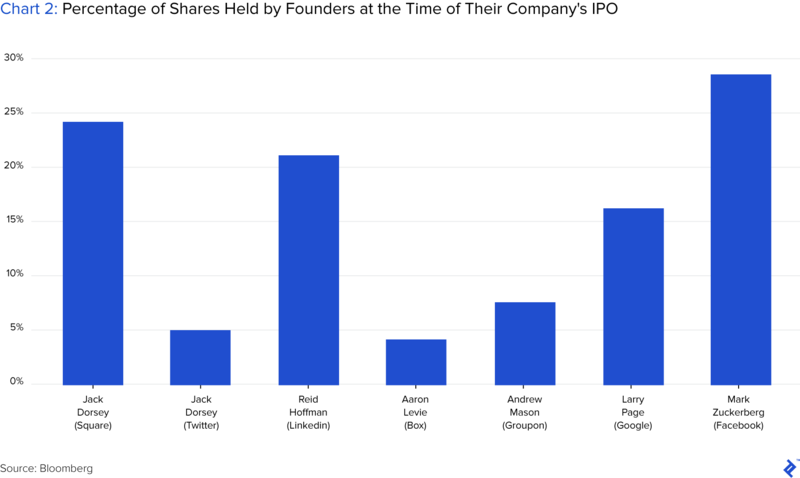 Looking at some examples from founders of famous companies, there is a wide disparity of ownership percentages held at the time of IPO. This shows that there is no set course to take and that personal fortunes are not entirely correlated to the company’s. Vesting represents time milestones used to release equity to stakeholders over a set time period. Often, metric targets or timing are used as the rule for releasing shares in this manner. Vesting is applied as a means to ensure that interest and effort from stakeholders is maintained as a reward for equity.